A new Maine race is on the scene and it rocks! 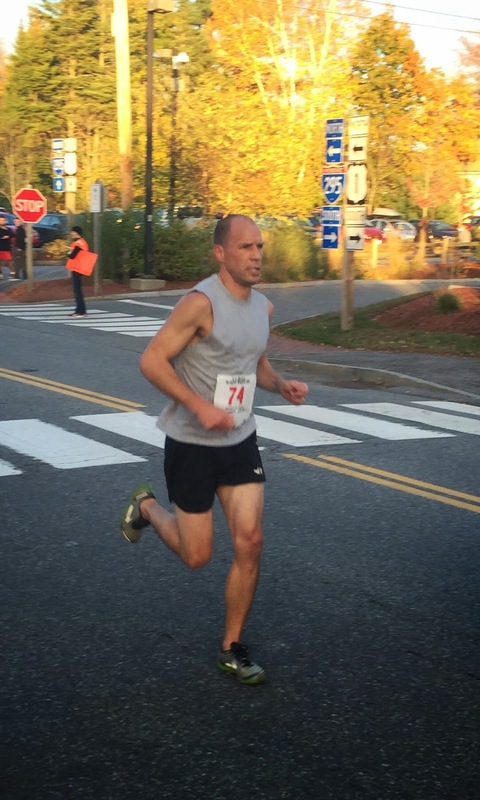 This year was the inaugural LL Bean Twilight 5k in Freeport. Like all LL Bean activities, this event was well organized. I didn't run. I was too late to register. BUT, the kids were able to run the fun run and Ward was able to run the 5k. Which meant I was more than happy to be there as the #1 spectator and photographer, wearing my Spandits (go buy some and tell Kelley and Sarah I sent you!) of course and making Izzy dress like my mini-me. LL Bean has the Camp Sunshine Event that was taking place on the LL Bean campus throughout the day. If you aren't familiar with this event, it's an incredibly cute family event sponsored by LL Bean to raise funds for Camp Sunshine. We didn't make it down earlier in the day; however, since we were heading down for the race anyway, we took a few minutes to enjoy some of the festivities prior to running. The Kids Fun Run was first. The course started at the start/finish line - took a 1/4 mile loop around the LL Bean campus and returned to the start/finish line. Tucker took off like a rocket. Which made me nervous. But we had a pre-arranged meeting point where I told him he had to be when Izzy and I finished. (and thankfully he was there!) Izzy, did a fantastic job. I didn't really have to run with her, but given the amount of people I felt better running with her. We started off holding hands and then halfway through she let go and took off! After the kids finished, the announcers started calling the 5k runners to the starting line. A good 15 minutes prior to the start. In Ward fashion, he was out warming up. I was nervous he wasn't going to make it back in time. I was also a bit nervous he wasn't going to make it to the front of the line up. Why do I worry so much? It wasn't even my race! Because the race organizers were so well prepared, they had a great little map done on a card with turn by turn instructions. This meant I knew exactly where I could stand to make sure we saw Ward a few times on the course. The course itself was a loop the runners ran 2x (with one little out and back added in to the 1st time around). I loved it because we saw Ward 4 times by only moving about 100 feet. And we were able to cheer on the other runners! Which is always exciting to me! Ward said he loved the double loop and it was a great course. I thought it was well organized. And even better? The Camp Sunshine event had a live band playing during the race so the runners were finishing to live music. Nice added bonus! All in all - a great event. But really, I wasn't surprised. LL Bean knows how to put on an event that is sure to please. We are already looking forward to next year! Links to my photos I submitted to Maine Running Photos. Album 1. Album 2. Sounds like it was really well organized. Awe I love the pictures of the kids!! They are adorable! I also love the matching tights!